When thinking about potential home improvement projects as a homeowner, a new concrete tile roof probably isn’t the first thing that comes to mind; however, it can have one of the biggest impacts on your home value. According to Remodeling Magazine’s 2018 Cost vs. Value Report, homeowners who have a new roof installed can expect to recover an average of 68.4 percent of the installation cost through increased home value. In addition, the type of roofing material you choose could further bump that value and offer additional benefits that will make your project worthwhile. When you choose a concrete tile roof, such as those manufactured by Eagle Roofing Products, you are receiving years of protection and peace of mind that other materials, such as asphalt shingles, cannot provide. Concrete roof tiles can resist the harshest of weather conditions and are known to stand as long as the structure it’s supporting. In fact, they are fire resistant, can withstand wind speeds of up to 180mph, are hail/impact resistant and offer freeze-thaw protection, depending on the manufacturer. Not to mention, concrete tile roofs are aesthetically stunning and are available in a multitude of color options and profiles to suit your project’s needs. In addition, their inherent reflective properties permit the reflection of sunlight, which releases heat for greater energy efficiency instead of absorbing it and transferring it from the roof deck and into the structure. Various concrete roof tiles are also Energy Star Rated, Cool Roof Rating Council (CRRC) rated and meet the requirements for California Energy Code Title 24. These designations can contribute to limited HVAC usage inside the home, reducing energy costs and the overall temperature extending the life of the roof. 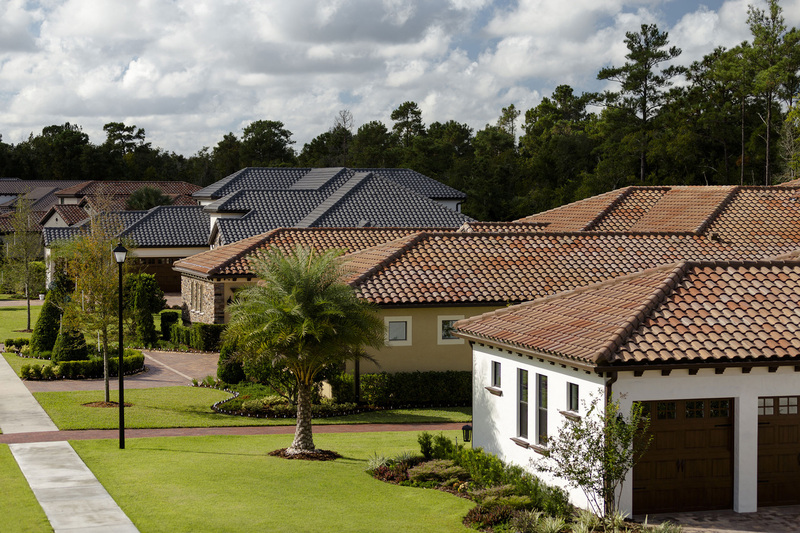 All of these benefits associated with concrete tile roofs will undoubtedly increase the value of your home and provide you with the durability, sustainability, and beauty you are looking for. However, it can’t be stressed enough the importance of proper installation and ensuring that you hire a licensed and bonded tile roofing contractor to do the job. Find out more information about concrete roof tile and begin browsing today at www.eagleroofing.com.